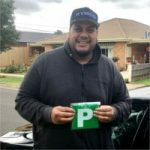 Based in Werribee and servicing the western suburbs of Melbourne, Eclipse Driver Training was founded from a passion for road safety and the desire to provide our own teenagers with the skills to manage the many hazardous situations that commonly occur on our roads. There is more to driving than filling in a log book and parallel parking. In 2016 almost 300 people were killed on Victorian roads and thousands more were hospitalised with major trauma. Statistics continually tell us that new drivers who have just passed their test are at the highest risk of death and serious injuries on our roads. Why? Because to get a licence you don’t have to learn to drive in the most common situations that will kill you. 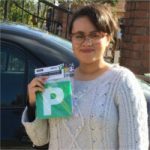 While there are many good driving instructors who truly care about road safety, there are many more that focus mainly on pushing new drivers through the testing system with little focus on managing the unpredictability of driving. To help you develop skills faster and gain a better understanding of safer driving we focus on a “learner-centred” approach to your training. This means your training is all about YOU and how YOU can make the fastest progress while getting the best value from the time you spend with us. How do we achieve this? We are proud of the feedback from our customers who comment on how enjoyable their training is with us. Our first priority is to make sure you feel comfortable from your very first contact. We also understand that making mistakes is a normal part of learning so we make the extra effort of staying calm and supportive even during stressful times in difficult traffic conditions. "I have gained new knowledge from you and my confidence has come back out again with driving. Thank you once again." With so many different aspects, learning to drive can seem complex and intimidating. Our modern training methods break things down into easy to understand tasks helping you learn new skills faster. What can seem like an impossible goal becomes surprisingly easy with clear instructions presented in a way that best suits your individual learning style. By keeping things fun and engaging you enjoy your driving and make faster improvements. We even provide advice for your supervising driver to make your private practice time more productive. Before you know it you will be confidently and (more importantly) safely driving in busy traffic with a better awareness and enjoying the freedom and independance that comes with obtaining your drivers licence.